West Islip residents have a new dental office in the neighborhood. 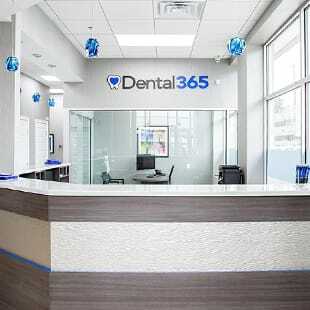 Dental365 was established with the patient’s comfort and convenience in mind. Located at 440 Montauk Hwy. in the same shopping center as Verizon, Dental365 gives patients high-quality, affordable dentistry while offering routine and walk-in emergency dental care. Dental365 is also open evenings and weekends so that visits to the dentist fit into their patients’ busy schedules. As all other Dental365 locations, this brand new office provides a storefront walk-in experience with state-of-the-art equipment and the latest technology with patient comfort being at the center of the office design. Each exam room is complete with a smart television along with many other patient amenities. This is the eighth Dental365 location to open in the New York metropolitan area and more offices are scheduled to open throughout this year. With many locations throughout the New York area, patients are able to visit any Dental365 office seamlessly. Dr. Scott Asnis, founder and CEO of Dental365, started the practice as one of the country’s first high-quality, affordable dental offices offering routine and walk-in emergency dental care 7 days a week. In addition to providing general and emergency dental services, Dental365 specialists are available to provide excellent care to our patients’ unique dental needs. Dental365 also gladly works with most insurance plans. Dental365’s goal is to serve the communities they are in with the latest technology in oral healthcare and wellness. As an added convenience, their brand new, inviting offices focus on all areas of dentistry, so patients never have to go elsewhere for dental treatment. Dental365 accepts walk-ins with little or no waiting time for adults and children and offers everything from emergency extractions to routine exams, including cosmetic restorations and veneers, periodontal procedures and Invisalign all in a state-of-the-art, beautiful environment where your comfort is a top priority. For more information about Dental365 or to schedule an appointment call 631-422-4000 or visit GoDental365.com.